This East Side Collection Gold Princess Dog Dress is a fabulous party dress that is as glamorous as it is comfortable to wear. 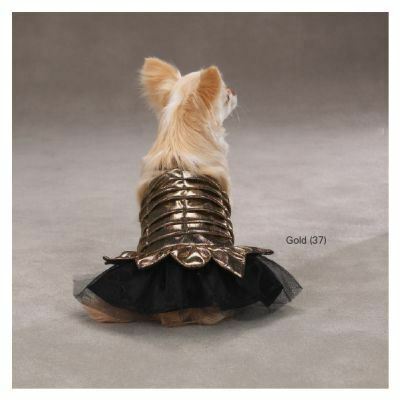 The Gold Princess Dog Dress is an easy-fit design that features Velcro from neck to belly. 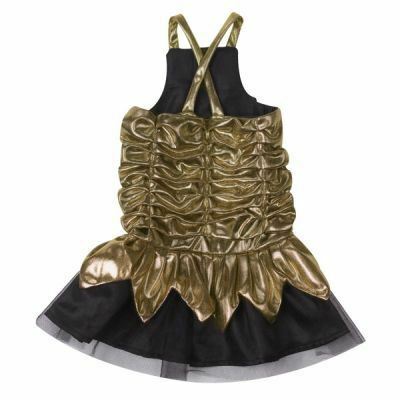 This soft, shimmering dress features a metallic satin bodice that is connected to a tiered skirt.